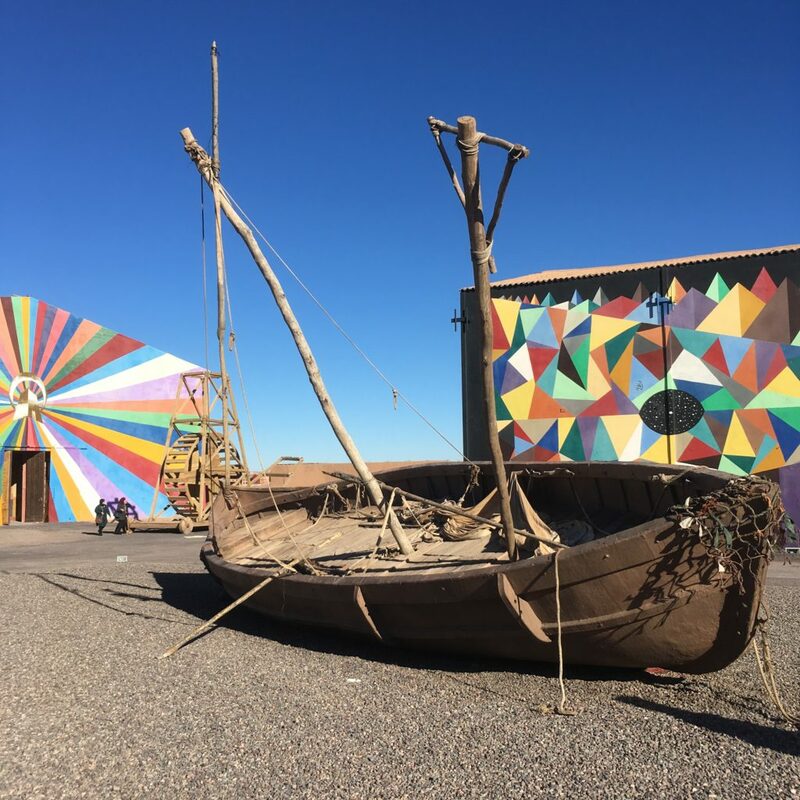 Coming back from the desert, we passed once again through the capital city of the province with the same name known as Ouarzazate (وارزازات). Also called the Door of the Desert and a Moroccan Hollywood of sorts, this city and region is heavily populated compared to other areas surrounding it. Following a change of terrain, no longer in the desert, the Amazigh spoken here (Central Atlas Tamazight) is also more understandable for some Moroccans compared to the dialects spoken in the Sahara. Be sure to stop here for a rest; it is the crossroads for many people coming to or from the various regions of Morocco (especially the north and south) and it also has its own airport. 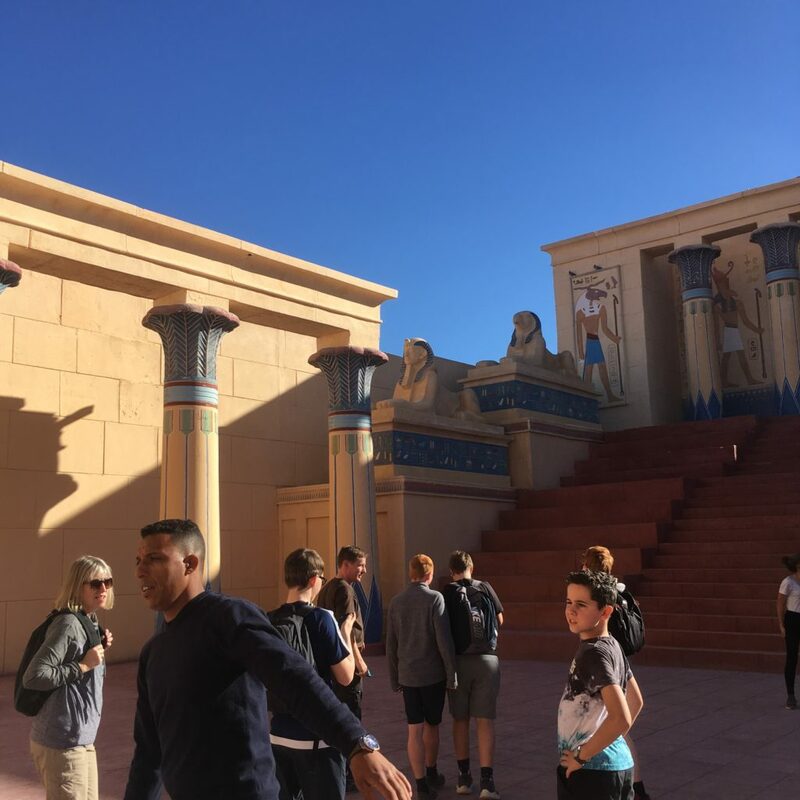 One of the main attractions to see in this city are the Atlas Studios that are responsible for a surge in Moroccan cinema in the recent years. Many Francophone movies as well as blockbuster hits like Gladiator (2000) and even Game of Thrones have been shot here. 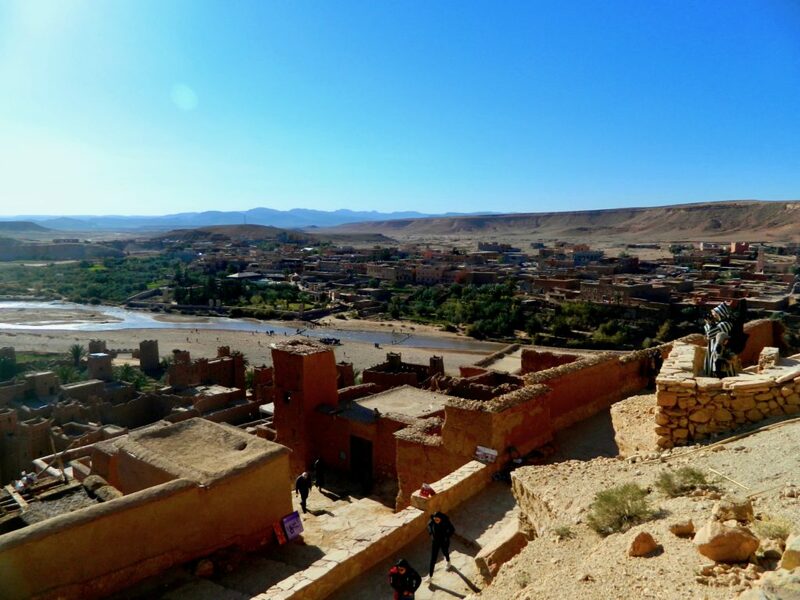 Essentially, if it is the ancient world (especially Rome or Egypt), it likely was filmed right here in Morocco. Tickets are relatively cheap, and remember to tip your impromptu tour guides in the park/studio. There are indeed a few filming sites sprinkled throughout the city and region, but the largest by far is the Cinema Studio Atlas, which I highly recommend. 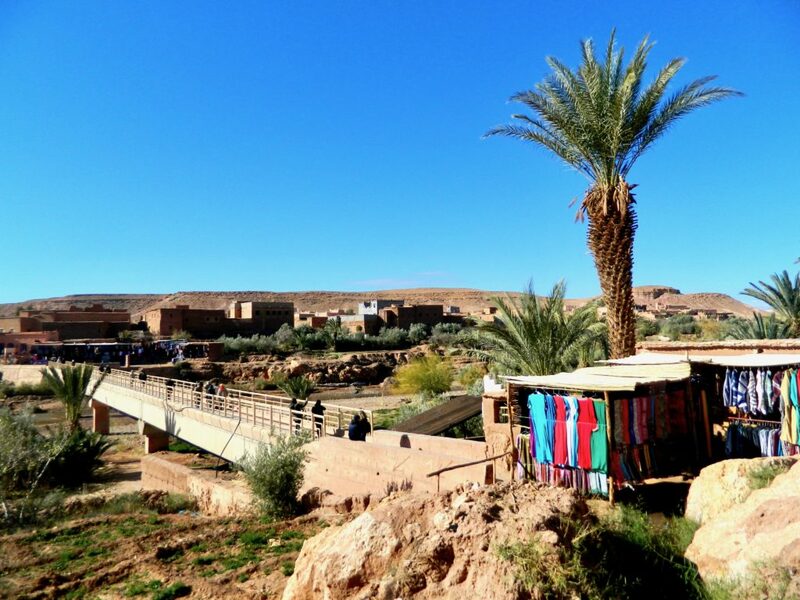 Nevertheless, we stayed in an adjacent municipality called Aït Benhaddou at a quirky and somewhat unsettling riad. 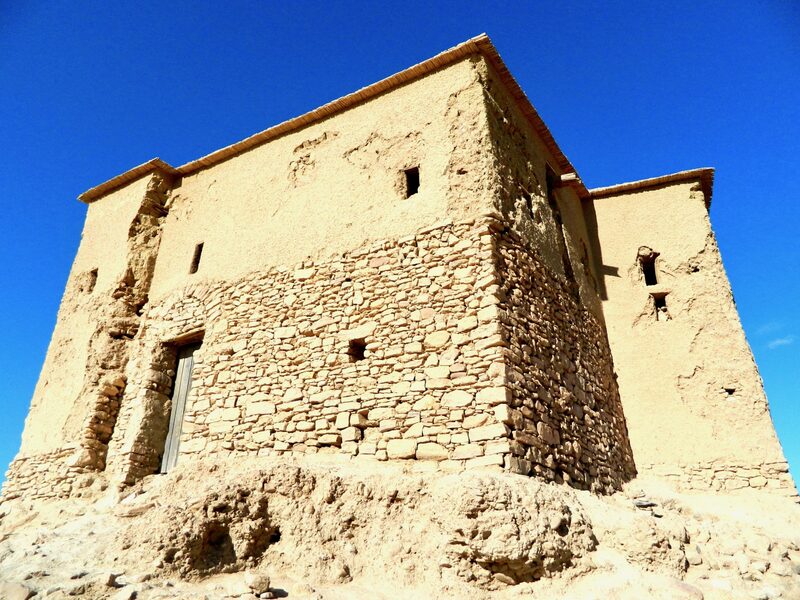 Aït Benhaddou is a smaller town west of Ouarzazate, only about a 30 minute drive. Called, Hotel Riad Ksar Ighnda, this hotel was surprisingly busy with what seemed like the entirety of a Italian family having a reunion (odd location I think for that). The dining area was also a buffet style set up, which we had not seen before. I say it was quirky because no one (including the staff it seemed) really knew what was going on and the weird lightshow projected on the courtyard at night was somewhat obnoxious. Luckily, we only spent one night there before heading back on the road. 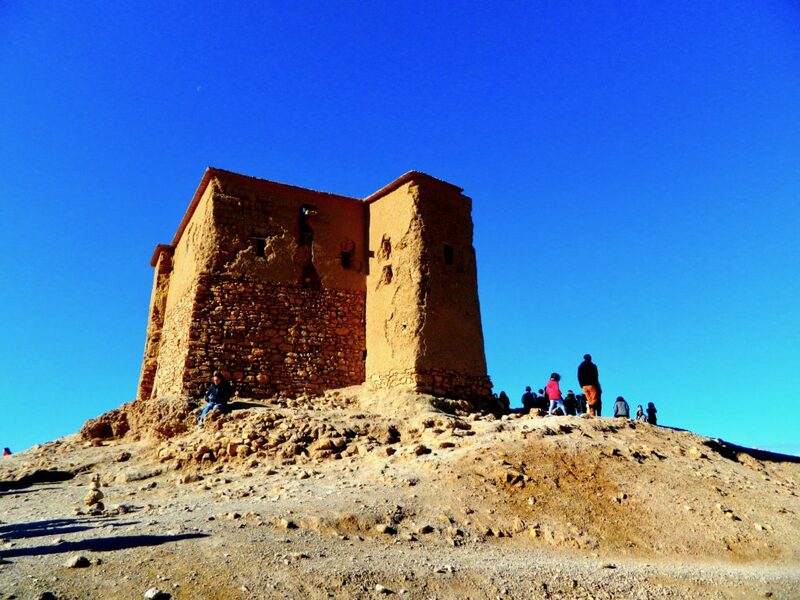 The name Aït Benhaddou comes from the Ksar (castle) that resides on the largest hill in the area. The name itself means something like ‘the family of the son of Haddou’ in Amazigh (and I think Arabic too). It is a UNESCO site and also has been featured in some movies like Prince of Persia (2010) and Indiana Jones and the Last Crusade (1989). Within the walls of the Ksar are multiple casbahs that sell decorative knives, Judaica, scarves, and more with merchants there happy to haggle. Some families still live within the fortification, but the numbers have significantly dwindled to maybe only about 10 families units left. 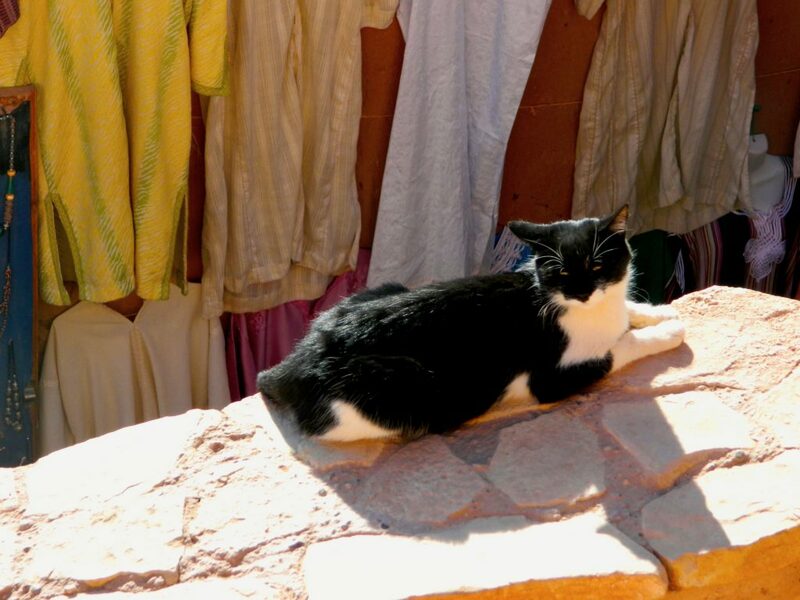 The Ksar’s constant tourist flow helps with income, so be sure to say hello and buy a few goods. Some residents may even welcome you into their homes for a tour and some tea; tipping after such a welcome is customary. 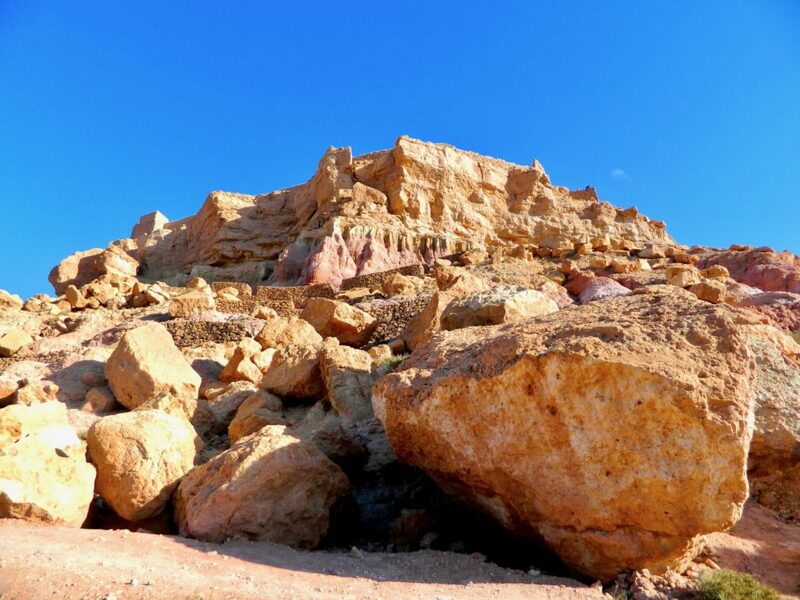 Once used as a lookout, it is now a major tourist destination, so be ready for some crowds. Additionally, it is a bit of a hike uphill to reach the summit. Bring some water and comfortable shoes. And, be sure to possibly shuffle a lot through crowded corridors. Sorry for the delay in posts recently! I do not know what happened. But, I need to write them, especially before I do any more travelling. And, I have some free time in February … However, I am back in Lund, Sweden now and I will find the time! One more post about Morocco to come; we are heading to Agadir (metaphorically)! 98. Halloween is sadly not accepted by everyone. It is a very culturally relative holiday. 56. Weather expectations while traveling can be harmful. Always remember that your destination may not be the sunny paradise you think it will be, so pack appropriately. 46. Get into a dance off with a local.